EdTech Help GuidesED200 Screencast O MaticHow Do I Save My Screencast-O-Matic? 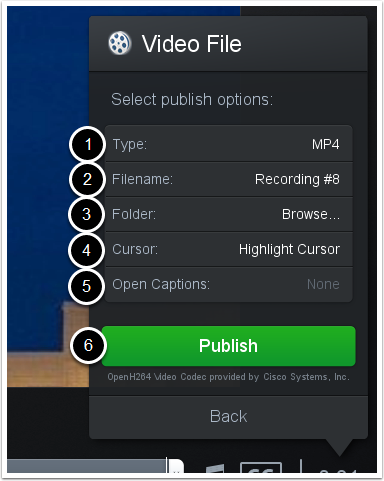 This article shows how to save a completed Screencast-O-Matic video to a computer. After stopping the video and selecting "done", an options box will appear. 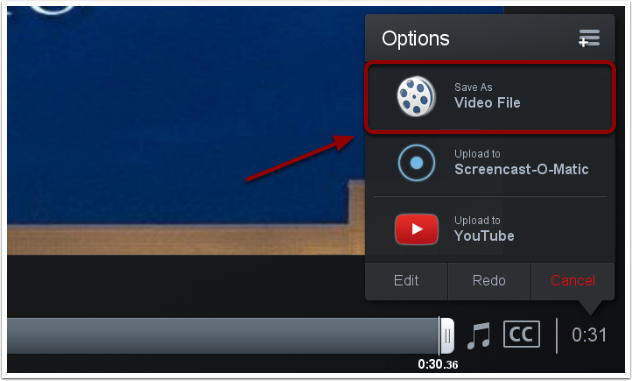 Select the option to Save As Video File. After setting everything up the way you want it, click Publish. After publishing your video, you will be able to view it in the files on your computer. Prev: How Do I Use Screencast O Matic? Next: How Do I Save My Screencast-O-Matic As A Link?